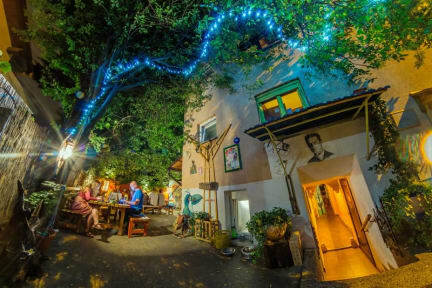 Hostel Mali Mrak Zagreb i Zagreb, Kroatien : Boka nu! This was my favourite hostel during my whole journey through Europe. Everything about it was the way I’ve been wanting a hostel to be like. 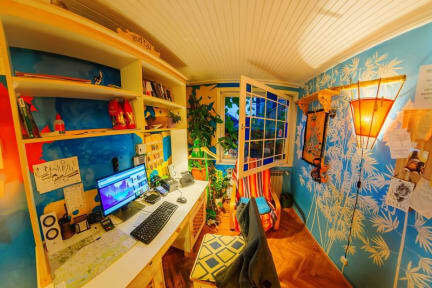 Extremely cosy, personal, friendly, wtf interior, affordable and good facilities. If you travel by yourself or with friends, no matter what- this will suit you. The only thing that I could complain about is the location but I couldn’t care less about that when I arrived and saw the place. Decent place a bit too far from anything interesting in Zagreb. Room got very hot during and not very comfy beds.